This MRX Mini model has a textured red aluminum handle and a recurve blade with a two-tone black finish. The Rat Worx MRX series of knives represents several firsts in the knife making industry. 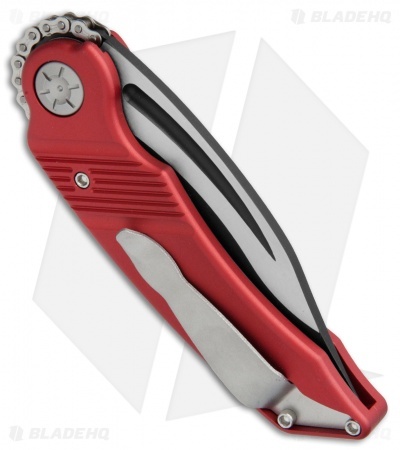 It features a fully automatic blade that operates on an innovative mini roller chain system. 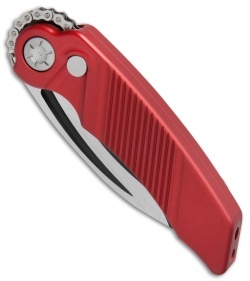 Simply press the firing button and a chain pulls the blade smoothly into the open position with snappy automatic action. The blade is powered by dual nested right and left hand extension springs and pivots on a permanently lubricated ball bearing system. Each MRX knife features a machine hollow ground blade made from durable CPM-154 steel. The lanyard cut handle is made from aluminum and comes equipped with a tip-up carry pocket clip. 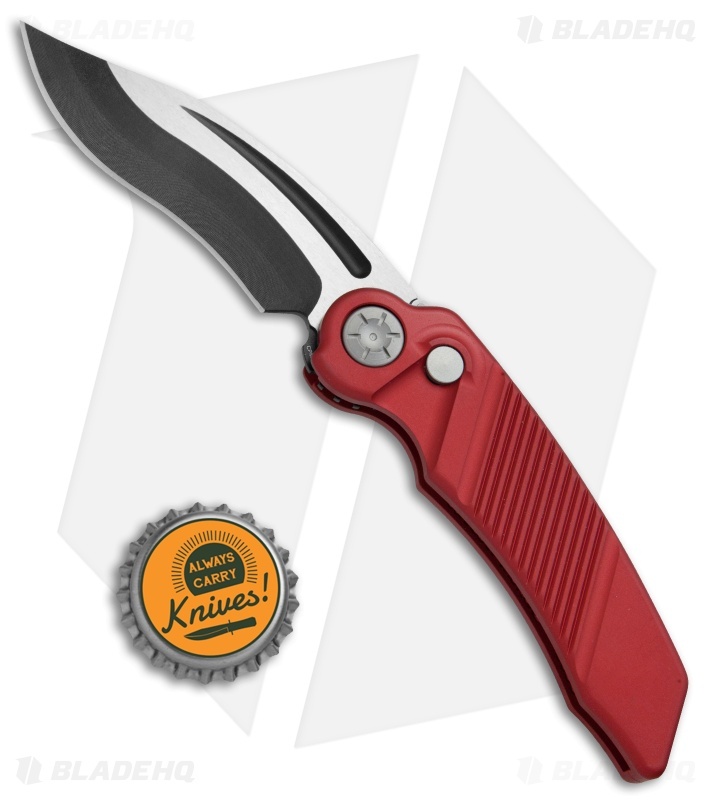 The MRX line of knives represent the next generation of fail-safe automatics.